Private Room A/C, Terrace with Volcano and lake view. 1 Queen Bed, 1 double sofa bed available on request. Private Equipped Apartment, Terrace w/ volcano and lake view. 1 Queen Bed, 1 double Bed. Double sofabeds optional for more than 4 peoples. Private Suite Room A/C w/ Jacuzzi, Balcony with Volcano and lake view. King Bed, double sofa bed available. 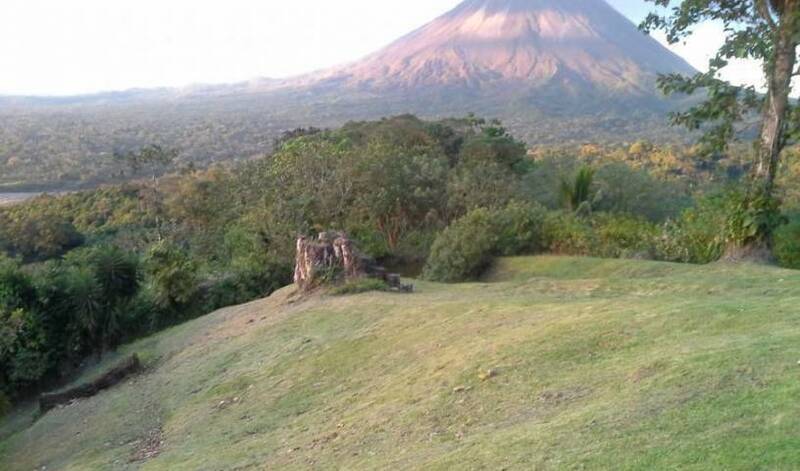 Private Junior Suite w/ arenal volcano and lake view, A/C, T V satelite, ceiling fan, fridge, mini bar, coffee maker, private bath with hot water, free wi-fi. After 2 peoples. 0 to 5 Free maximun 2 childs. 6 to 11 $10 per person. 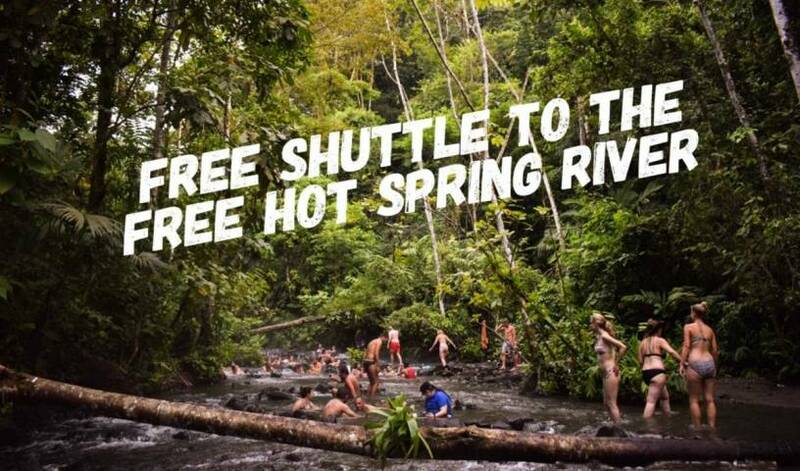 8 Km West From The Park Of La Fortuna. 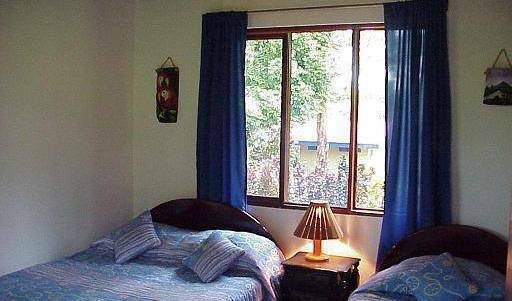 Private room with: private bath, hot water, cable tv, refrigerator, air conditioning, wi fi, volcano view. ( one or two queen beds available). Private room with: private bath, hot water, jacuzzi cable tv, refrigerator, air conditioning, living room wi fi, volcano view. ( three queen size beds). Montaña de Fuego Hotel & Spa is immersed between 45 hectares of primary and secondary forest, making it a true oasis, enriched by the exuberant vegetation and the diversity of flora and fauna. With the natural warmth of a wooden bungalow, surrounded by an exotic tropical garden, you will see the majestic volcano from the terrace of your room. Capacity per room: 3 (1 Double Bed and 1 Twin Bed) Total: 45 people. Our suites are designed for comfort lovers! Its modern architecture offers luxury, without losing the charm of the natural environment. 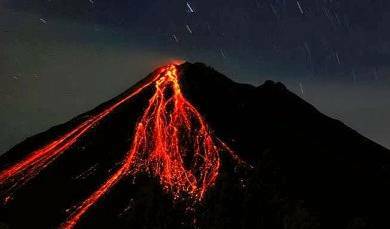 Enjoy the spectacular view of the volcano from your private outdoor balcony or simply relax in the in-room Jacuzzi. These rooms can comfortably accommodate 4 people (1 King Bed and 1 Sofa Bed). Total: 72 people. Superior private ensuite room with: private bath, cable tv, air conditioning, hot water, safe deposit box, wi fi, garden view. Two double beds or One double bed. Superior private ensuite room with: private bath, cable tv, air conditioning, hot water, safe deposit box, wi fi, garden view. One double bed. Superior private ensuite room with: private bath, cable tv, air conditioning, hot water, safe deposit box, wi fi, garden view. Two double bed or three single beds. Superior private ensuite room with: private bath, cable tv, air conditioning, hot water, safe deposit box, wi fi, garden view. Two doubles beds or four single beds. Large and Clean Rom with: air conditioning, Private bath with Hot water and garden view. Large and Clean Rom with: air conditioning, cable TV, Telephone, Private bath with Hot water and garden view. 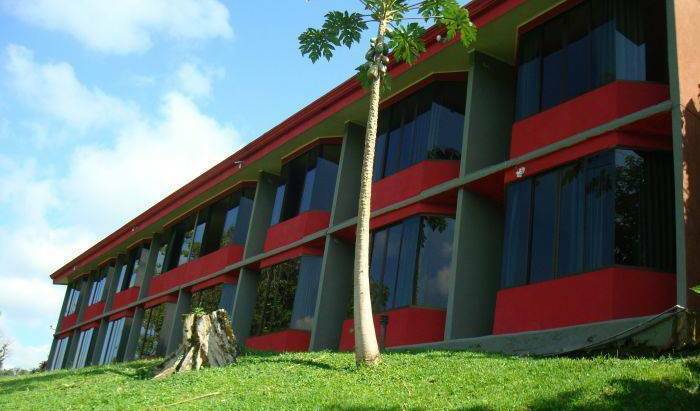 Large and Clean Rom with: air conditioning, cable tv, telephonePrivate bath with Hot water and garden view. 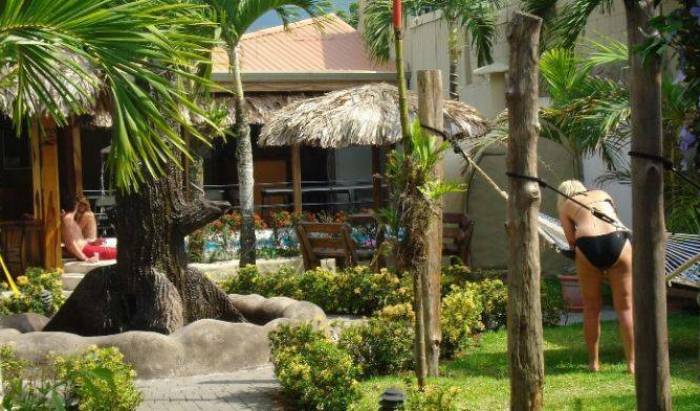 Private ensuite bungalow with: Private bath, hot water, air conditioning, cable tv, refrigerator, safe deposit box, cofee maker, volcano view, One queen bed or two double beds.. 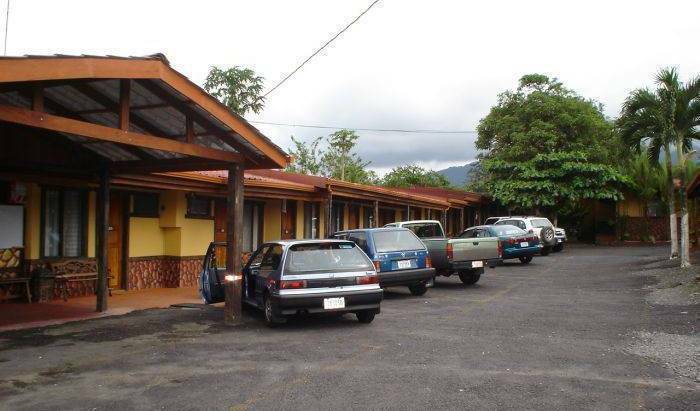 Private ensuite bungalow with: Private bath, hot water, air conditioning, cable tv, refrigerator, safe deposit box, cofee maker, volcano view, One queen bed. 100 Mts South From The Bus Station. La Paz, Rio Celeste De Guatuso. Alajuela C. R.